I forgot I was going to paint something simpler for today's painting. 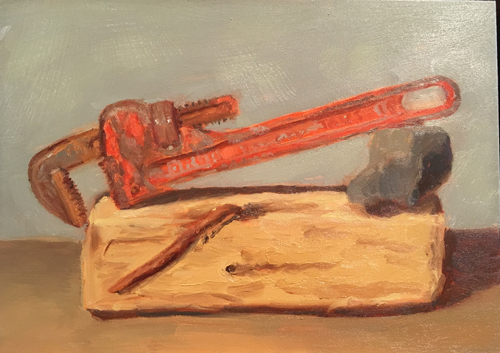 I have been wanting to paint a study of this pipe wrench for a while. I have a painting in mind that I want to have a pipe wrench in. I spotted this on the still life prop shelf today and thought it would be a good time to take a stab at painting it. I enjoyed it tremendously but next time I plan to take more time.